Many a time we may get the trouble of watching our favorite video of high quality in a video player, the format is not supported or may be any other issue. 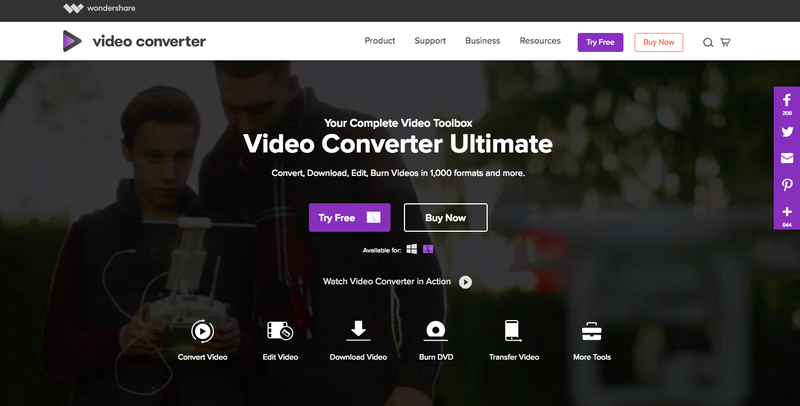 So for solving that problem we need a video converter and here is the best video converter “Wondershare Video Converter” to convert your videos from any format to the format you want. And to do a lot more than converting your videos. Wondershare gives you high-quality video output with lot more features that make it the best in the family of video converter. It has high conversion rate which gives you the best output without any loss in the video quality. The conversion speed is also very efficient than other video converters in the market. With the wide range of features that normally a traditional video converter don’t provide. Along with converting the video you can also download any video from online within a click with the feature of converting the video to mp3, allows to download full playlist and lot more. Wondershare is a one-stop shop where you can find a lot more than you can think, its wide range of features not only makes it the best software application but also more than 50 million users choice. Wondershare converts any kind of video within a go that gives you high and faster conversion to any format you want with high video quality. It comes with 1000 of video format to choose and convert your video to any format for any kind of device. Talking about the speed of the conversion it has 10X speed which is much faster than any video converter online. Along with the video conversion Wondershare also allows getting videos from online. It has a feature of downloading videos from any video websites within a go. With the one-click download feature most the time we only need the mp3 out of the video which is online. Wondershare allows you to download mp3 out of the video. And I personally think that every time we need to get the mp3 from a video we need to Google it and find some product but with Wondershare it is easier. Now coming to the playlist, then I will say a big yes. Yes you can also download the full playlist from YouTube. Now coming to the live streaming you can’t download it but Wondershare has a solution to it also it comes with a feature of online streaming recording mode through which you can record any online streaming video so that you can watch it later. Having the traditional features like Burn to CD/DVD, transferring file Wondershare comes with the lot more tools to work with and have fun with our videos. Wondershare has a User-friendly interface. Along with quick video editing features which include merging videos, applying video effects, applying watermark and lot more that makes it look more professional. So most of us love to edit our shots and store it so that we can watch our moments that make us happy time. Wondershare cares for its user and has features that allow you correction of the video’s brightness contrast, color correction, cut and merge the videos and along with that we can also apply video effects to make our video look cool. Along with this one can have a watermark in the video. With Wondershare you can be a video editor not professional but yes to complete your expectation own. Further you can add audio to your videos for making it more interactive. Wondershare Video Converter Ultimate also offers a full set of optimized video tools which will come in handy sometime. With the extended features of fixing video Metadata, VR converter that’s an awesome feature of trending technologies. 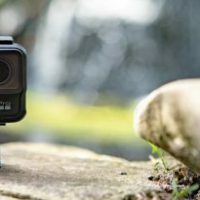 Gif, a maker for motion clip lover, casting video to the TV for more clarity and more enhancement. And the screen recorder mode which enables you to track your screen in the video format. Wondershare video converter comes for windows as well as For MAC so that both the user can have the most out Wondershare and playing with the videos. More features of the Wondershare for conversion are the preset customisable format, time scheduler, loss conversion, simplified interface. With the feature name it is almost clear to all about the what you can do with the features. Now after knowing all that wide range of features of WonderShare its time for its cost. Well let me tell you can use Wondershare for a demo period to check out the features. 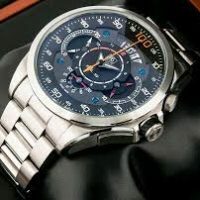 The cost for its Ultimate version is very less and comes in four different tier. First the one-year license which allows you to pay yearly basis which cost $39.95 for a single user. Thirdly comes the Family License costing $99.95 lifetime for the 2-5 machine. Lastly the Business plan with two choices of a lifetime and yearly basis. 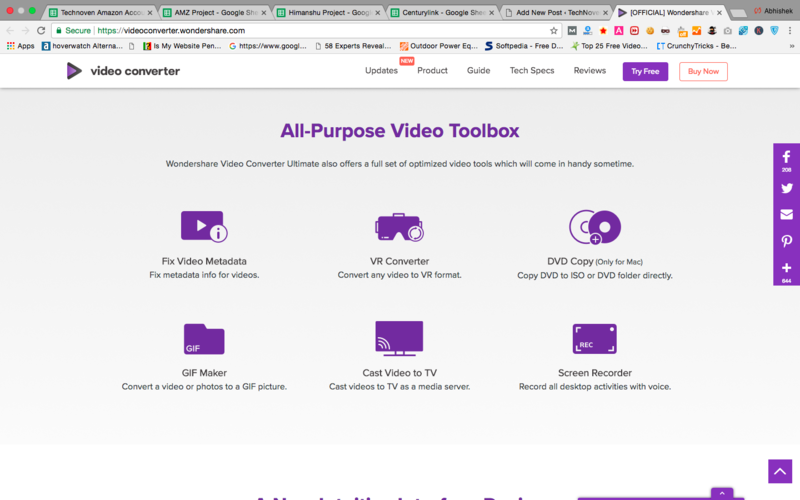 With the wide range of features that one can hardly think that can come with a video converter software is here Wondershare is the one stop shop for everything that you need to do with your videos. You can test the software by using its trial version with limited features and you can also buy the product and use it. 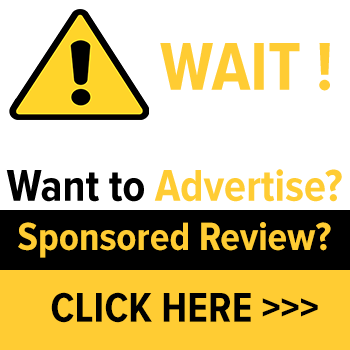 If you don’t like the product Wondershare provides you 30 Days Money Back Guarantee. So, use the software and find more out of it.